Ironing was almost enjoyable when you patents first allowed you to try it. It became a dull chore shortly afterwards. A few tricks can save a lot of time when ironing. Steam will get the wrinkles out of many garments. As most of us don’t have a machine specifically designed for this we can leave a garment on a hanger in the bathroom while we shower. Leave the bathroom heater on and let the stream from the hot shower smooth out the garment. If necessary put a few clothes pegs on the bottom of the garment for weight, and make sure it is evenly and symmetrically hung. This works for T-shirts. Put them on a coat hanger and spray with a solution that is one part vinegar to three parts water. Keep the sprayer about 2 feet way from the cloth. The fiddly parts of shirts and other formal garment arte the collars and sleeves. We can find that ironing these causes wrinkles elsewhere in the garment. To make the process easier, use a hair straightening iron. Always make sure it is free any hairspray or other products to avoid staining the cloth. This is a trick used by those who do shift work. Often clothes can be worn more than once between washes, especially external items. If you can’t put the clothes on a hanger, store them by rolling them up. If the clothes aren’t folded they won’t wrinkle. This is useful when traveling and living out of a suitcase. 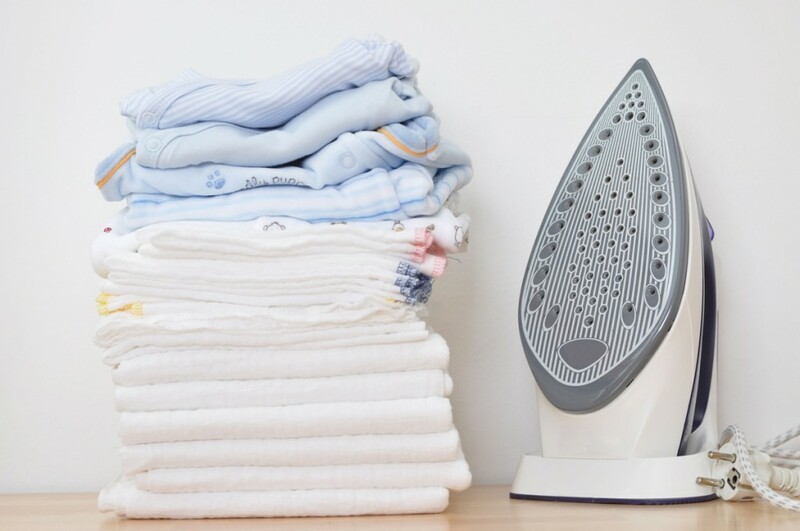 Slightly damp clothes will lose their wrinkles when tumble dried. This is a little tricky as it only works if there are a few garments in the drier. And the garments will actually become more wrinkled if left in there for too long. Try spraying the garment with a very small amount of water and tumble drying it with no more than two or three other items. Remove items as soon as they dry. Alternately, put the dry clothes in the tumble drier with a wet sock and tumble dry till the wrinkles are gone. Tumble drying will increase wear on clothes, reducing their lifespan. This is a good method for a noticeable crease. Wet the crease and use a hair drier on the area. This is fine for collars, cuffs and fold marks, though it is possible too time consuming for a whole garment.